In order to Alternative learning methodologies, Self-directed activity, hands-on learning, and collaborative play make up the foundation of our schooling. Uniheights programs are custom tailored and are intended to nurture every child’s strengths and interests. Giving children a greater understanding of the world around them—combined with a sense of respect towards universal systems and lifeforms. Our objective is to foster functional independence, task persistence, and emotional self-regulation in our children, leading to overall social development. Respectful, clear communication and safe learning environments provide an ideal platform for children to engage with their senses. This leads to a development of literacy and scientific understanding, culminating with imaginative expression and self-confidence. 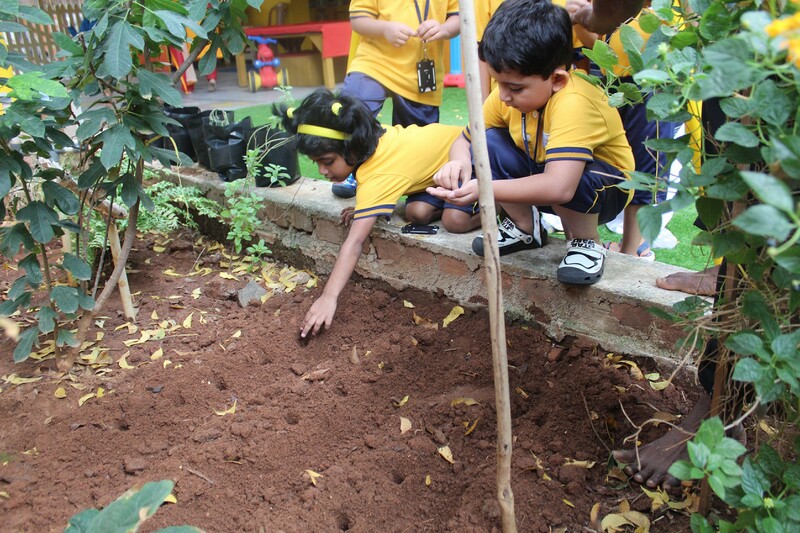 Our methodology lays emphasis on the daily moral and ethical development of our children, while keeping it engaging and ensuring that the children don’t lose interest in the curriculum. 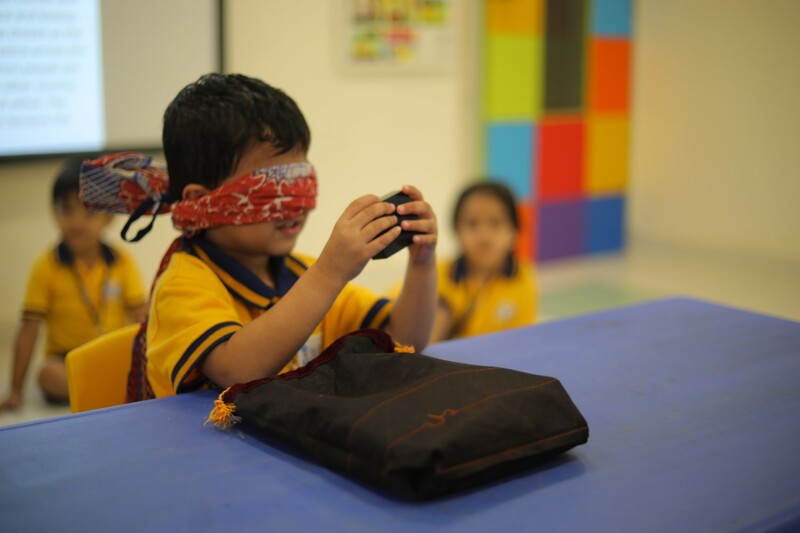 Uniheights adopts a unique Japanese Methodology which encourages learning through observation and the sense of touch. 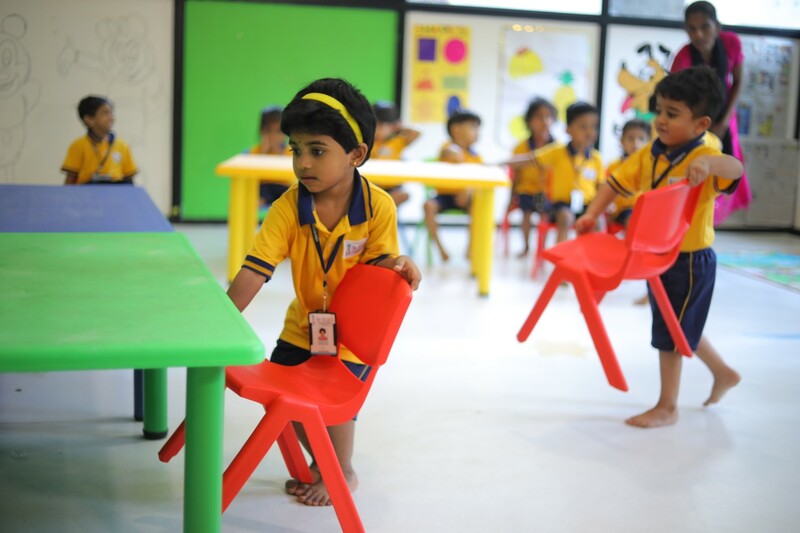 Our primary objective is to provide children a stimulating and active ethical learning environment that fosters independence and self-confidence. We believe that learning is fun! Children are increasingly less inclined to pick up a book today. This drawback combined with a dull curriculum, actively deters children from the joys of learning. We intend to break these barriers by actively engaging the senses of the learner. Structure 1 Children learn the building blocks of communication, by learning to listen to the sounds and dynamics of the world around them. Structure 2:- Hungry for knowledge, children jump head first into reading, expanding their vocabulary in the process. Structure 3 A good listener naturally progresses to become a good speaker, and children begin learning how to successfully articulate their needs and wants. Structure 4 Children consolidate their previously learned skills into meaningful action, by writing and putting across their message in the written form. Our interactive sessions are intended to make your children more confident. 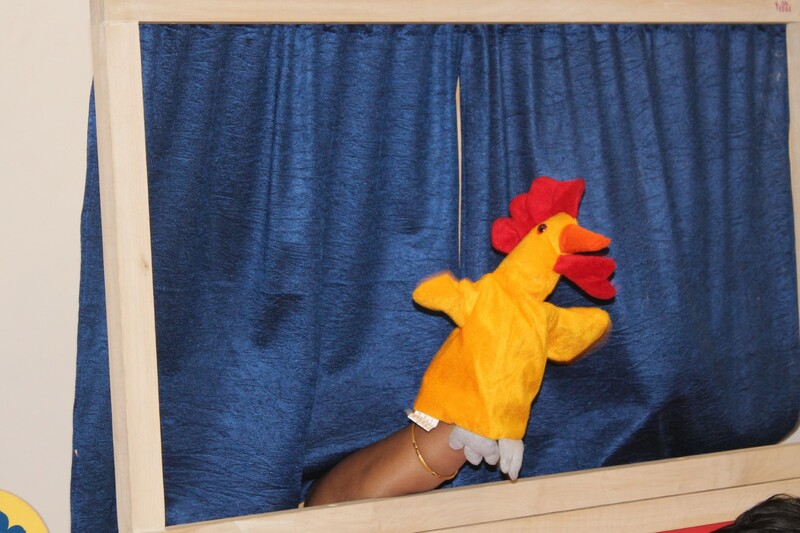 Role play is engaged as a technique and real-life scenarios are enacted in the classroom environment to aid your child’s understanding of complex concepts. 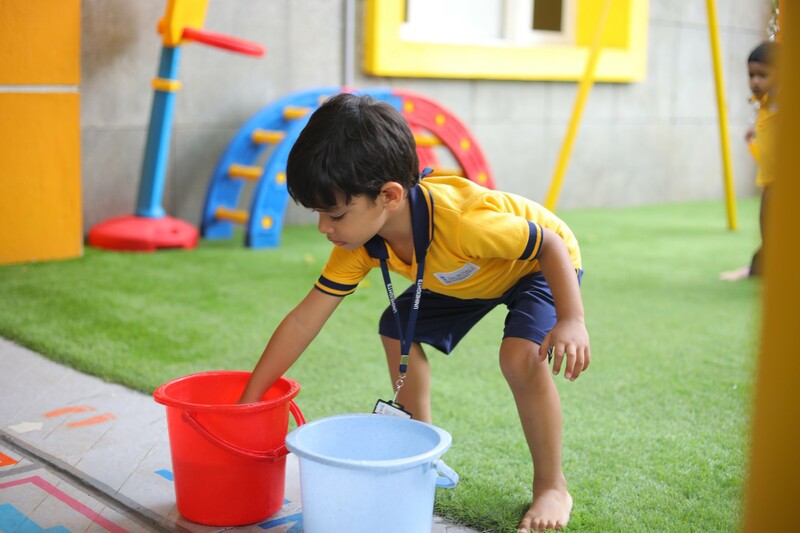 In addition to these activities, yoga, exercise and splash pool sessions are conducted to enhance your child’s kinetic senses. All through these sessions, our children learn to share, respect and cooperate with friends. There are different types of learners within one class. Teachers at Uniheights, aim to appeal to all the different type of learner at some point during the course. It is particularly important to appeal to visual learners, as a very high proportion of learners have this type of intelligence. We make sure that Flash cards are bright and colourful so as to make a real impact on visual learners.